Lucy Montgomery writes about the need for new models in humanities publishing and the second round of Knowledge Unlatched. Other models include Open Library of the Humanities. Specialist scholarly books, or monographs, are a vital form of publication for Humanities and Social Sciences (HSS) scholars globally. Monographs allow HSS researchers to develop and share complex ideas at length, and to engage with international communities of peers in processes of knowledge creation. However, library spending on books hasn’t kept pace with growth in the number of researchers required to publish a book in order to secure tenure and promotion. Dramatic increases in the costs of maintaining journal subscriptions have left libraries with little to spend on other areas. As a result monograph sales have declined by as much as 90% over 20 years. Although a growing number of librarians, authors, research funders and publishers would like to see books transition to OA, book-length scholarly works pose unique challenges. This is because the fixed costs of publishing a 70,000 — 100,000-word book are much higher than they are for a 5,000 – 10,000 word journal article. High costs mean that ‘gold’ routes to OA are not a practical option for most authors. Monograph publishers, many of whom are not-for-profit University Presses and already dependant on subsidies, are struggling to find funding to support OA experimentation. Creative approaches to enabling positive change across the system are needed. Australasian Libraries are playing a key role the development of one such model. In 2014 Australasian libraries took part in the global pilot of a revolutionary OA book experiment: Knowledge Unlatched (KU). Libraries from around the world were invited to share the costs of making a 28 book Pilot Collection OA. The collection, which included globally relevant topics such as Constructing Muslims in France and Understanding the Global Energy Crisis, has now been downloaded more than 40,000 times by readers in 170 countries. In addition to demonstrating the viability of KU’s global library consortium approach to supporting OA for books, the award-winning Pilot also allowed KU to demonstrate the power of OA to increase the visibility of specialist scholarly books in digital landscapes. In 2015 KU helped to secure the indexing of monographs in Google Scholar. The 2014 KU Pilot confirmed that Australasian libraries are important change-makers in the global scholarly communications landscape. 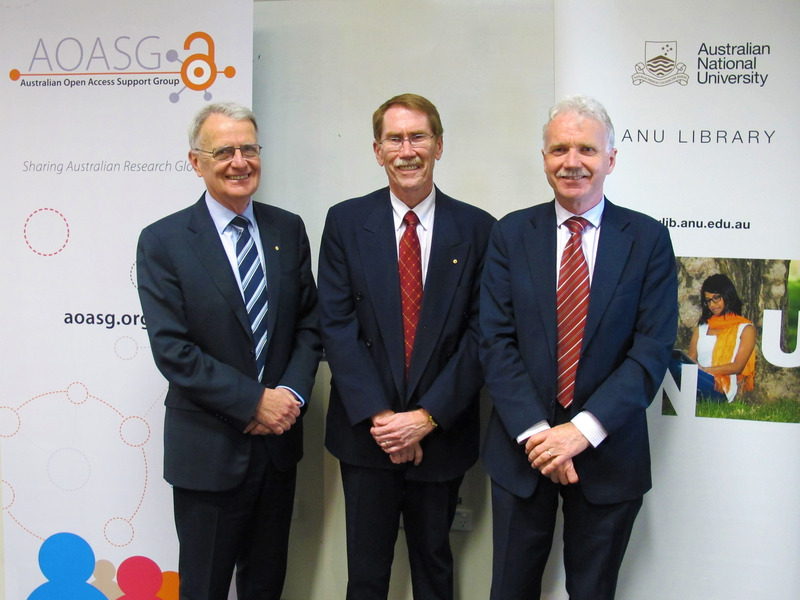 KU is widely regarded as a strongly Australasian project, thanks in no small part to the three Founding Libraries that provided additional cash support for the development of the KU model: UWA, University of Melbourne and QUT. Australasia also punched well above its weight in sign-up rates for the Pilot Collection. 28 libraries from Australia and New Zealand took part, joining a global community of close to 300 libraries that contributed to making the 28 book Pilot Collection OA. Libraries are now invited to support the next phase of the project by signing up for Round 2. Round 2 is a key step in scaling the KU model and ensuring that the project delivers on its promise to create a sustainable route to OA for large numbers of scholarly books. As the end of the year fast approaches, we encourage you to consider signing up. Libraries have until 31 January 2016 to pledge, but we’d be happy to assist with earlier invoicing for those that would prefer to support the project from a 2015 budget. KU Round 2 is an opportunity for libraries from around the world to share the costs of making 78 new books from 26 recognised publishers OA. The 78 new books are being offered in 8 individual packages. Libraries must sign up for at least six in order to participate. As with the Pilot Collection, books in Round 2 will also be hosted on OAPEN and HathiTrust with Creative Commons licences, preserved by CLOCKSS and Portico, and MARC records will be provided to libraries. If models like KU are to succeed it will be because libraries have made a conscious effort to move beyond established work-flows to support new innovative approaches to OA and publishing generally. At this stage in its development the support of Australian libraries remains key to the capacity of KU to scale and operate sustainably. Competing interests: Lucy Montgomery is Deputy Director (an unpaid voluntary position) of Knowledge Unlatched. About the author: Associate Professor Lucy Montgomery is Deputy Director of Knowledge Unlatched and Director of the Centre for Culture and Technology at Curtin University. AOASG has become a signatory to the Confederation of Open Access Repositories (COAR) ‘Statement about embargo periods’, joining other international associations. The statement says embargo periods are a transitional mechanism to help facilitate a wholesale shift towards Open Access. 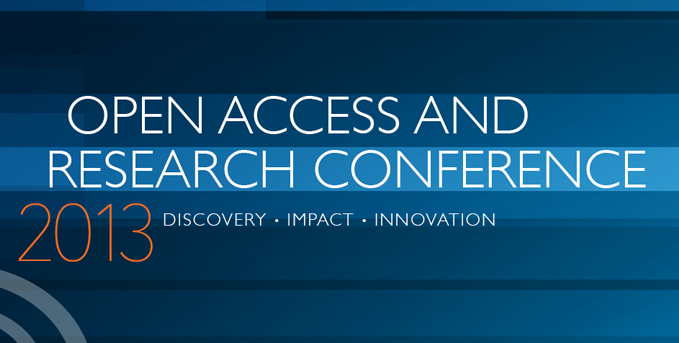 SPARC have announced the theme for Open Access Week 2014 – Generation Open – with a focus on early career researchers and students. This provides considerable potential for activities and events. Cambridge mathematician Tim Gowers sent out a series of FoI requests to find out what UK libraries are spending on Elsevier. His comprehensive blog on his findings notes “A striking aspect of these amounts is just how much they vary.” This has sparked considerable discussion, not least “The cost of academic publishing”. This Declaration for LIS authors states the “undersigned, pledge to make ALL OF OUR WORK open access by all means possible, including especially placing versions of our work in institutional and disciplinary repositories, publishing in open access journals”. The text is being crowdsourced. The final version of the Guide to Tagging Institutional Repository Records Related to ARC/NHMRC Grants is now available on the CAUL website. This document was prepared by: Paula Callan (QUT), Mark Gregson (QUT), Kerrie Burn (ACU) and Tony McCall (ACU). The Chinese Academy of Sciences (CAS) open access policy will require its researchers and graduate students to deposit final, peer-reviewed manuscripts of research articles into the open access repositories of their respective institutes within 12 months of their official publication in academic journals. Mexico is the third country in the region which now has national legislation related to the issue of open access. This legislation is intended to place Mexico into an ‘information society’. The Act provides for the establishment and operation of the National Repository of Science, Technology and Innovation Information. This study Open-Access Repositories Worldwide, 2005–2012: Past Growth, Current Characteristics, and Future Possibilities by Stephen Pinfield et al reviews the worldwide growth of open access finding they typically use open-source OAI-compliant software but have immature licensing arrangements. Major factors affecting both the initial development of repositories and their take-up include IT infrastructure, cultural factors, policy initiatives, awareness-raising activity, and usage mandates. The study found 80.4% allow deposit of author’s manuscript or publisher’s pdf within 12 months of publication. Mikael Laakso’s Green open access policies of scholarly journal publishers: a study of what, when, and where self-archiving is allowed” also found that publishers are substantially more permissive with allowing accepted manuscripts on personal webpages (78.1% of articles) or in institutional repositories (79.9%) compared to subject repositories (32.8%). In Librarian, Heal Thyself: A Scholarly Communication Analysis of LIS Journals, Micah Vandegrift and Chealsye Bowley propose a new metric to rank journals, the J.O.I. Factor (Journal Openness Index) which grades journals based on how “open” they are, as opposed to citation impact or h-index. For biomedical researchers a new beta release JournalGuide provides a matching service for authors to help them identify the right journal for their article. Information on a journal’s scope, speed of rejection or approval, publication speed and cost plus the open access policy. A European initiative Quality Open Access Market aims to provide ‘Journal Score Cards’ ranking quality of service against price and also lists the publication fees of journals. The score is out of five and attained by author’s input ranking on: Editorial info, Peer review, Process and Governance. This new service from ResearchGate offers a way of researchers reviewing a published paper. Recent Developments in Open Access and Scholarly Communication: The case of History in Britain. Professor Miles Taylor – Institute of Historical Research, University of London. As the Director of the University of Adelaide Press, I am participating in the Humanities and Social Sciences session in the OASPA (Open Access Scholarly Publishers Association) conference in Latvia, Riga later this month. OASPA was initially set up to group together Open Access journal publishers, and now is keen to include book publishers, in all disciplines. At present, which is why I am speaking, OASPA require that their members not only have published at least one Open Access book, but also that it is published with a licence that allows the “broadest re-use of published material possible”. Their preference is the ‘CC-BY’ licence, now required by the United Kingdom funding bodies if they fund research, the European Union, and increasingly other funding bodies around the world. I do not believe this licence is automatically appropriate for Humanities and Social Sciences which generally publish in books. ‘Open Access’ as a term was formally adopted in the Budapest Open Access Initiative in December 2001, with the aim of assisting faster advances in Sciences, Medicine and Health. Subsequently, the six Creative Commons licences were created, to provide globally coherent copyright licences. I do not have a quibble with the most open licence of all, the CC-BY licence, when it is used in Sciences, Medicine and Health. Or for that matter, if any author in the Humanities and Social Sciences wishes to use it. My quibble is when it is mandated to all of us to use. I disagree flatly and categorically that when there are six different Creative Commons licences that only one must be used. The CC-BY licence not only allows all readers the free, open access to the text, and to share it and quote it, but also to adapt it and create what they call, mysteriously, “derivative works”. There is no requirement for these derivative works to be subjected to the same rigorous peer-reviewing before publishing that the original work had to pass. It also allows them to commercialise their derivative work, without needing to share the profits with the original author, the only condition being that they attribute the original work. No one yet has explained what a derivative work is to me, and even in the legal language of the licence itself, it remains a vague term. This licence is undoubtedly perfect when applied to the results of fast-moving medical research, for example in genetics. But it could equally allow an unscrupulous publisher to patch together a very good textbook and make a killing, probably selling it back to the same institutions that produced the original scholarly texts. We already are more than aware of the way institutions are forced to buy back their own research in journal packages, in which they did not pay for the content, indeed charged a fee to publish it, then took ownership of the copyright, and also receive subsequent copyright use payments – like through the Copyright Agency Limited (CAL). As an author of books myself, I am concerned about a licence allowing someone to take the results of years of original research, largely written in donated time, reword it, change it, and then turn a profit from it. Of the people I have talked to who insist on the single use of the CC-BY licence, I wonder how many of them have published a book? On the other hand, I believe that the Creative Commons licences are essential for Open Access publishing to work efficiently and effectively. The University of Adelaide Press will be introducing them in future titles, but will allow authors to choose which one suits their work. The Institute for Electrical and Electronics Engineers (IEEE) is the biggest organisation for these fields. They run many high status conferences and publish the proceedings. Because in this field traditionally authors have been expected to provide camera-ready copy for conference proceedings, it has long been accepted practice for authors to make copies of their work available on their own webpages or in repositories. And until December 2010 IEEE sanctioned that (as long as the repository attached a specific notice). Then on 1 January 2011 IEEE changed the rules and said people could no longer put up the Published Version. They were still allowed to put up the Submitted Version (preprint) or the Accepted Version (postprint). The policy is on the IEEE website here. While this still allows IEEE works to be made available in compliance with the recent Australian mandates, a recent blog argues that the re-use restrictions on the Accepted Version of IEEE publications imposed by IEEE means that the works are not open access in compliance with many overseas mandate requirements. Springer also recently changed their rules. They were previously a fully ‘green’ publisher which meant authors were allowed to make their Accepted Versions available immediately on publication. But this has recently changed. So now there is a 12 month embargo on making the Accepted Version available. It would seem that Springer have altered their position in response to the introduction of the RCUK mandate. Indeed many other publishers have made announcements in response to that mandate. These range in form across videos from BioMed Central to announcements such as from Oxford University Press to a blog post from SAGE. There is some argument in discussion lists that the new Springer position is contradictory – that institutional webpages are effectively the author’s website, given the way many repositories are embedded with the staff pages for institutions. This simply indicates the complexity of these agreements and how challenging the interpretation of them can be even for people whose work centres in this area. And this opens up a new, emerging issue. So far this blog has been talking about publisher agreements with authors. But some publisher’s agreements state that if authors are publishing research that results from a funder that has an open access mandate, there are different rules. Two very prominent ones have been Elsevier and Wiley. Generally these different rules require a ‘separate agreement’ between the funder and the publisher. There is more information about separate agreements here. Follow these links to see the arrangements Wiley and Elsevier have made to manage the RCUK mandate. Emerald is another publisher which has recently changed its position on open access, in this case only for deposits which are mandated. For these publications Emerald have recently adopted a 24 month embargo. The text on their site says: “if a mandate is in place but funding is not available to pay an APC [article processing charge], you may deposit the post-print of your article into a subject or institutional repository and your funder’s research catalogue 24 months after official publication”. Emerald say they are prepared to “work in partnership” to “establish Open Access agreements that support mutual interests”. One such agreement is with the International Federation of Library Associations and Institutions (IFLA) which permits the deposit of an Accepted Version (post print) with only a nine month embargo. So if an author publishes through Emerald they are subject to one of three possible copyright agreements depending on whether they are researching using funds that have a mandate associated with the funds and whether they are publishing in an IFLA journal. To add to the confusion, it appears there is a third form of agreement relating to copyright permissions beyond the copyright transfer agreement the author has signed and any separate agreement that may be in place as a result of a mandate. It seems that publishers are now approaching libraries directly over the issue of access to publications. That is, they are seeking to sign an agreement directly with the library. According to discussions online, it seems that there are two types of clauses attached to institutional license agreements – either a new clause in existing contracts at renewal time, or a separate agreement that serves as an addendum to the contract in between renewals. It is unclear whether these agreements would override the copyright transfer agreement the author signed. Having two agreements adds to the confusion and begs the question: which one is binding? I am not privvy to what is potentially being agreed to in these new clauses. It is almost a moot point. The issue is that if institutions sign these agreements then the waters are further muddied. They might also need to be on top of the license agreements or extra clauses their library has with individual publishers. It is complicated and time consuming. These changing rules have a potentially profound effect on the rate of the uptake of repositories in some institutions. Repository structures and associated workflows vary dramatically. In some cases the institution maintains one repository for both open access materials and reporting publication databases, others have separate repositories for different purposes. And there can be big variations in the way publications are recruited for the repository. In the majority of cases there is an allocated repository manager who takes responsibility for checking copyright compliance of deposited items. But some institutions expect their researchers to do this and to indicate that they have done so when they deposit their papers to the repository. This adds a level of almost insurmountable complexity to what some have argued is a simple matter of a ‘few keystrokes’. know whether their publisher has a special agreement in relation to that mandate. These changing copyright arrangements mean that the process of making research openly accessible through a repository is becoming less and less able to be undertaken by individuals. By necessity, repository deposit is becoming solely the responsibility of the institution.